Wildfires are hitting Southern California hard, with thousands forced to evacuate and thousands of acres burned. Here's how you can help, from making a donation to volunteering. A number of organizations are helping wildfire victims. 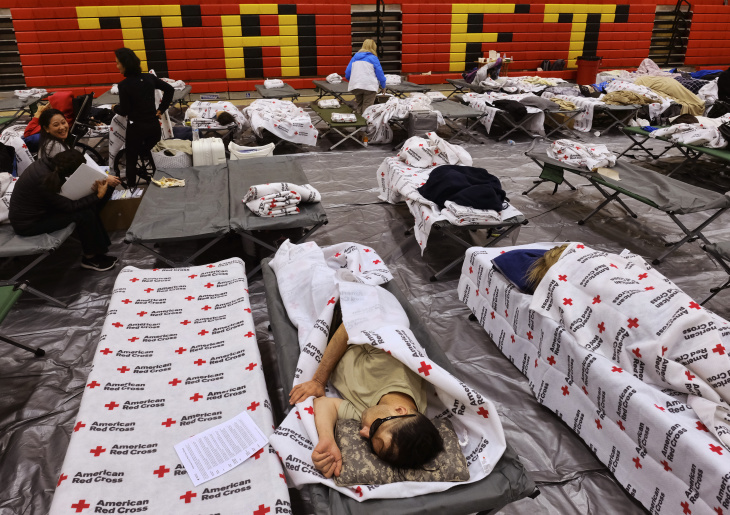 The Red Cross, perhaps the most well-known, is providing both shelter and emotional support for evacuees. You can visit RedCross.org, call 1-800-RED-CROSS, or text REDCROSS to 90999 to make an automatic $10 donation. The United Way of Greater Los Angeles is accepting donations to its Disaster Relief Fund to help those affected by the Southern California fires. They're partnering with United Way of Ventura County. The Salvation Army Ventura Corps wildfire relief fund is also accepting donations to go toward California wildfire relief. The California Fire Foundation is a nonprofit that is distributing emergency funds to fire victims through its SAVE program. That includes firefighters distributing prepaid credit cards to help victims in the immediate aftermath of the fire. Google is helping people make a donation. Donations through Google will be directed through the Center for Disaster Philanthropy — you can read more about that here. The Entertainment Industry Foundation is raising money through its Fire Relief Fund to help those affected. The organizations that will benefit, but last year they gave to the L.A. Fire Department, L.A. Kitchen, and the Humane Society of Ventura County. Facebook also has a Crisis Response page for the Woolsey Fire, which includes fundraising through GlobalGiving to help those affected by the fire. The Humane Society of Ventura County is accepting animals evacuating from the Hill and Woolsey fires, and they're also looking for support. You can donate to the organization here or purchase needed items through their Amazon Wish List here. The Los Angeles County Animal Care Foundation is providing animals shelter from the Woolsey and Hill fires. They're accepting donations through the Noah's Legacy Fund. The Pasadena Humane Society said it took in 15 dogs, 12 cats, five rabbits, four hamsters and two mice over the course of the weekend. It is accepting donations, up to $3,000 of which will be matched through a gift from the Elizabeth M. Falk Foundation. Adopt a pet. The L.A. County Department of Animal Care and Control is asking people to go to their nearest animal care center and adopt during this emergency. They note that their Agoura Animal Care Center was evacuated Friday morning, but their other centers remain open. Help your neighborhood plan for a future disaster. L.A. County has a five-step Neighborhood Action Kit to help you and your neighbors make a plan. They note that, in major disasters, 70 percent of victims are rescued by their neighbors rather than professional responders. Apply to volunteer with the Humane Society of Ventura County, though they are currently only accepting trained volunteers to help with evacuated animals. Apply to become a Red Cross volunteer.